Some garage doors break down from time to time, no matter how durable or sturdy they are. When you need new rollers, springs or other parts for your garage door, our experts are ready to provide you with assistance. 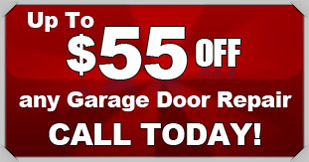 Action Garage Door offers prompt and reliable repairs for homeowners and business owners in Buda. Over the last 30 years, we have gained a solid reputation for providing high-quality repair services for residential and commercial customers in the area. We offer affordable costs, same-day service, free priority service during the week and 100 percent customer satisfaction. Call us for more details on our garage door repair and installation services in Buda. For garage door repair in Buda, TX, don’t forget the professionals are found at Action Garage Door. Garage door service in Buda can’t be left to just anyone, which is why our professionals are trained, qualified, and experienced. When you want the best in garage door repair and other services, you have to turn to the best. For years, we have been providing residents all over Buda with the garage door service they need and earning their trust. We welcome the opportunity to earn yours as well. As a garage door repair company that is committed to customer satisfaction, nobody beats Action Garage Door. Our family-owned business has been satisfying customers for 30 years and we are waiting to help you find the services you need for your garage door in Buda. All of our products can handle years of extreme weather and all of our work complies with all applicable local regulations. At Action Garage Door, we understand you have many needs when it comes to garage door service. For this reason, our garage door service goes way beyond simple repairs. Some of our services include commercial garage door installation, cable repair, maintenance and much more. No two home or business owners are alike, and our garage door repair company understands that no two will want the exact same garage doors and set up. 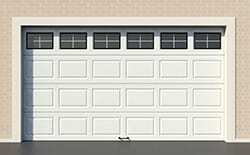 At Action Garage Door, we offer a variety of garage doors for installation in Buda homes and offices. Some of our options include Carriage House, Olympus, Classica, Stratford/Heritage, and Amarr garage doors. Having a brand new garage door is a great way to spruce up your home’s appearance. New garage doors can also be a wise investment for commercial property owners with older doors for safety reasons. Whether you’re a residential or commercial customer, Action Garage Door can assist you with choosing the ideal garage door to replace your existing one. We offer name-brand products and the best warranties around, so you can count on getting a top-quality garage door for your home or business. Need more information on garage door installation services in Buda? Give us a call today to learn more. Buda, TX offers residents a quick way to get to downtown Austin via I-35. The Hays County city is just 15 miles south of Austin. Buda has a smaller population of around 7,343 compared to other cities in the area, but it is also known as one of the fastest growing Austin suburbs. The cost of living in Buda is higher than the state average and just above the national average. While it costs more to live here, the excellent schools and low rates of crime make up for it. The average cost to buy a home in Buda is roughly $184,800, which is slightly higher than the national average of $175,700 and considerably higher than the state average of $131,400. Residents in Buda have a median household income of $69,685 and an average income per capita of $31,588. 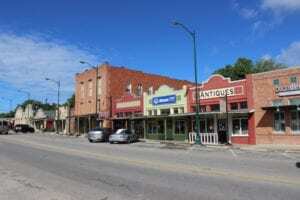 Buda offers a quaint, small town atmosphere that’s also close to the much bigger city of Austin. The city’s residents have plenty of amenities available, including historic sites, shops, restaurants and parks. In fact, the city is known as the Outdoor Capital of Texas thanks to its large amount of parkland. Residents of Buda who want to learn more about the community can do so by joining local classes, going to local events and attending Buda Citizens’ Academy. Events that take place in the city include the Downtown Buda Farmers Market, First Thursday, Movies in the Park during summer, the annual Easter Egg Hunt, Fajita Fiesta, Budafest, and Buda Trail of Lights. Buda also encourages residents to be an active part of the community by getting involved with City Council meetings and volunteering at local facilities. Buda is an ideal place to visit for those who love spending time outdoors, but it also has plenty to offer visitors who prefer other attractions and amenities, such as shopping, cultural events and historical sites. Guests of all ages can find a number of things to do and places to see in Buda during their stay. History enthusiasts have several places to see in Buda, including historic homes and other structures and a historic downtown district. The historic McElroy-Severn Stagecoach House and Visitor Center dates back to 1887 and gives visitors a glimpse into the area’s past. The historic downtown district offers quaint stores and dining establishments, including antique shops and taverns. Guests can step back into the past and enjoy an old-fashioned ice cream soda at Buda Soda Fountain. Visitors will also find specialty shops in this part of town. Outdoor enthusiasts can visit one of the city’s many parks to get some fresh air and exercise. Buda City Park, located in the downtown area, offers 7 acres of fun thanks to a rock climbing wall, playground and pavilion. 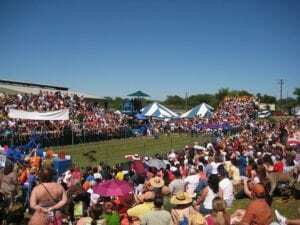 Live musical performances and other events take place in the park’s pavilion from time to time. Buda Sportsplex offers 52 acres of parkland that features baseball and softball fields, trails to explore, a playground and pavilions. Those who enjoy skateboarding can head to Jackson Tyler Norris Memorial Skate Park, which has two ramps and half pipes, several grinding rails and a bowl. Visitors who want to experience the city’s quirkier events can make plans to come into town in late April for the Weiner Dog Races. The races have several dachshunds compete for fun and to raise funds for the local Lions Club. In September, the city has the Fajita Fiesta cook-off event, which includes a jalapeno eating contest, live entertainment and mariachi groups. To get started with your garage door repair, installation, or replacement, contact Action Garage Door in Buda today and let’s talk about the options available from the garage door repair company that has been caring for customers since 1984. Called on Monday; technician arrived Tuesday afternoon & did routine maintenance on my garage door. Very pleasant, personable man, who go the job done quickly. Thought the price was fair, tho I didn’t get any other quotes. Two other companies' people did not bother to get back to me to schedule service, so I am even more pleased with Action Door's immediate response. Roberto was very friendly and knowledgeable explaining all possible problems and solutions so I could make an informed decision. Quick response, great service. Very fair and reasonable price. Great customer service. Called for technician help and they sent someone the following day. I would refer to a friend. Brian was my technician and was very friendly, helpful and efficient. I explained the problem and Tyler layed out his strategy for the repairs and the cost. Within a few minutes our garage door was working like new. Our garage was off track and threatening to collapse when the service man arrived and promptly fixed the issues, what a relief. Installed new keypad and programmed it. Spring conversion on garage door. Reconnect opener to garage door.